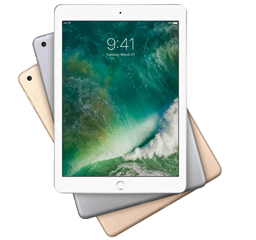 2018 top free DVD rippers for iPad to help free convert DVD to 9.7" iPad (2017), iPad Pro, and also other models of iPad/Air/mini on Windows. Why Free DVD to iPad Ripper is Needed? How to Free Rip DVD to iPad 2017/Pro/mini/Air? It's the most powerful freeware that can rip general DVDs to iPad friendly formats like MP4 on Windows 10 or lower. Many of iPad owners like Mick are inevitably in need to rip and play DVD on iPad free of charge. But it seems that most of DVD to iPad converters you have found out through search engine are just free trial ones which usually have time limit of ripping, like Mick can "only convert 3 minutes" of his DVD. In view of this, this article will list you top 3 easily-handling DVD to iPad freewares to meet your "DVD to iPad" needs. 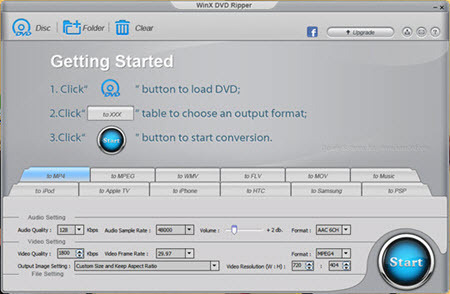 WinX DVD Ripper is totally free DVD to iPad ripper with elegant interface to easily convert your DVD or DVD folder to many popular video formats like MP4, MPEG, WMV, FLV, MOV and to many general portable devices like iPhone, iPad, Samsung Galaxy, HTC, PSP etc. It can remove most DVD copy restrictions like CSS, UOP, RCE, region code and Sony ARccOS. What's worth your trying most is its superfast ripping speed and incomparable output quality. 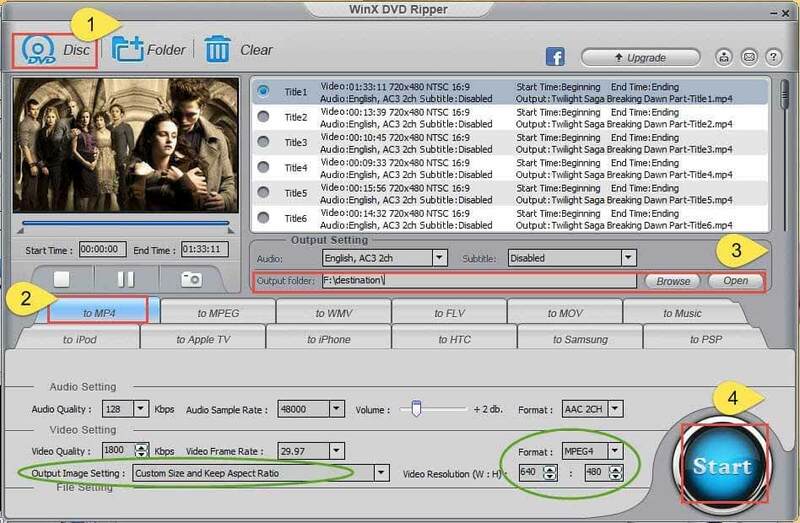 Taking all the related factors into considerations, it's obvious that WinX DVD Ripper gets to the top of free DVD to iPad rippers because of its more clear interface, faster ripping speed, better output quality and advanced decryption technology. 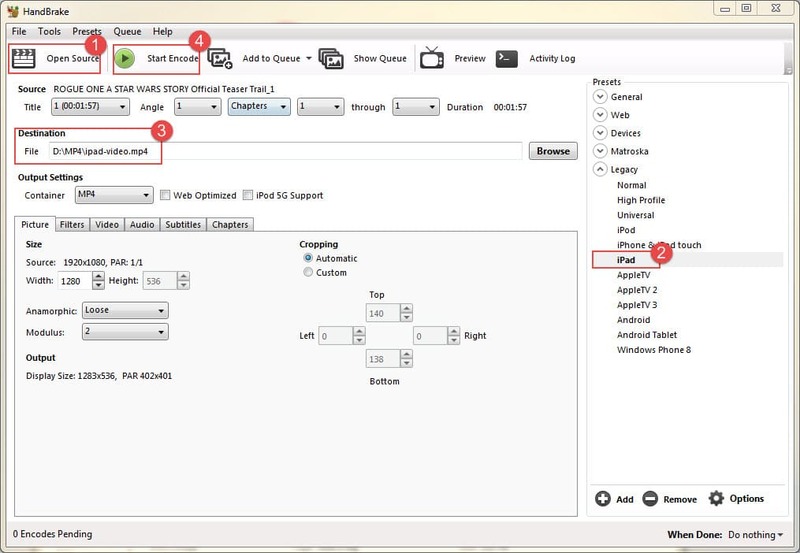 How to Free Convert DVD to iPad for Playback with WinX DVD Ripper? Step 4: hit "Start" button to rip DVD to video available on iPad. 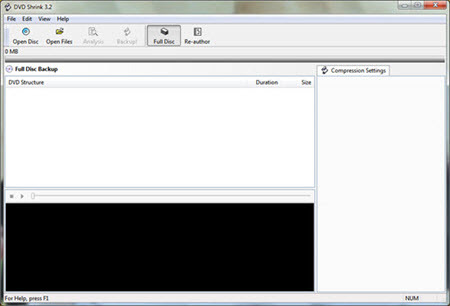 HandBrake is a free and open-source tool for ripping a film from a DVD to iPad-playable video. You can directly rip your DVD to MP4 and MKV formats on Windows or Mac Hard Drive, playable on iPhone, iPad, iPod, Apple TV, Android, PSP and other general video devices you may have. 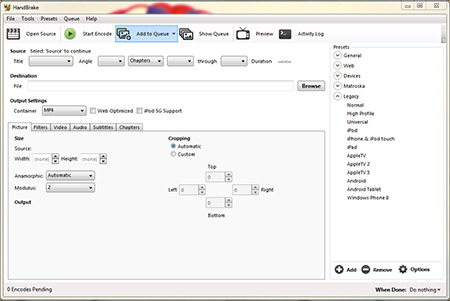 It owns multiple video and audio parameter settings for you to alter the output file personally. But it's a time-consuming ripper because it owns a lower ripping speed than the other two. Most importantly, it is unable to break down some protection methods like CSS, which means you should decrypt those DVDs with a third-party software to remove those protect restriction so that HandBrake can read and free rip DVD to iPad. DVD Shrink a free DVD ripping program for iPad owners to rip and back up DVD movies on PC and for a further playback on iPad. It free rips DVD and DVD files by reducing the amount of data stored on DVD with minimal loss of quality. But its Achilles' heel is that only after integrating with "Nero" (version 7 or lower) or other DVD burning helpers can you run your DVD Shrink normally. What's more, that the final English versions of this tiny software - 3.2.0.15 version was built in July 2004 makes it unable to remove many recent copy protection methods. Notice: Since there is no download link on its homepage now, please be careful not to get the one with malware, spyware or virus when downloading it on other websites. Neither of the above DVD to iPad rippers supports decrypting the latest copy protected DVDs, so if you want to free rip the new Disney encrypted DVDs to iPad/Pro, iPad mini and iPad Air or other new arrivals of portable devices, with accelerated DVD ripping speed, please try advanced WinX DVD Ripper Platinum. How to use Free DVD to iPad Ripper to Rip DVD to iPad? How to Stream Music to iPhone 6 (Plus)/ iPad Air 2?